Honeymoons, anniversaries, engagements, make-ups — there are plenty of reasons to be amorous. Find love in all the right places with this list of romantic destinations throughout Central America. What's to Love: Francis Ford Coppola converted a gorgeous family vacation home in the Mayan mountains into a serene and romantic hideaway with waterfalls, magical walking trails, and a great spa. Good to Know: You'll be tempted not to leave, but do. 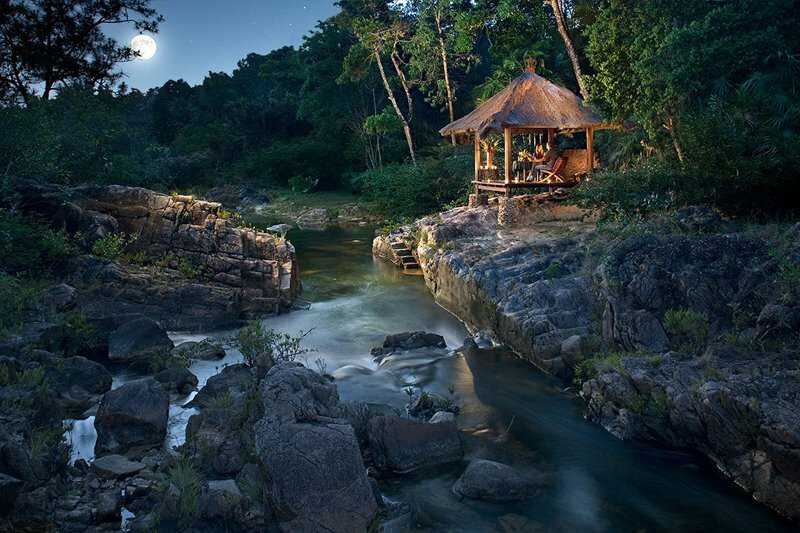 The hotel can arrange horseback riding, canoeing in caves, and trips to the Tikal ruins. What's to Love: A small and isolated seafront resort on the far tip of a peninsula. White-sand beaches, handcrafted oversized villas with Balinese touches, outdoor showers, locally crafted soaps, and the chocolate chip cookies. Good to Know: Hop a ride on Miss Ellie, the resort's boat, to Silk Cayes, two deserted islands where you can spend the day sipping rose, snacking on a picnic lunch, snorkeling, and swimming in coral reef solitude. What;s to Love: Besides having a prime surf spot in its backyard, its private bungalows feel as though you're staying in a secluded tree house constructed from native materials. Good to Know: Howler monkeys act as an alarm clock. Pack something more substantial than Havaianas to wear during the walk from the bungalow to the beach; it's a jungle out there. What's to Love: The lodge is perched on a hillside overlooking a magnificent lake. Truly off the beaten path, near the Belize border close to famous ancient Mayan ruins of Tikal. 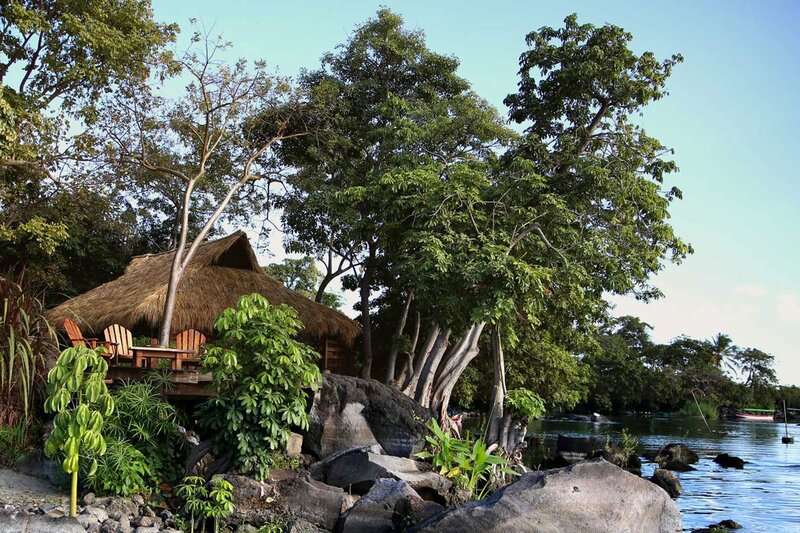 What's to Love: The open-air lodge sits peacefully, among neat rows of teak trees. There's a pool, path to the beach, open-air lounge, shaded hammocks, and four airy cabanas (high thread-count sheets, new mosquito netting) with al fresco showers. Good to Know: If you see surf boards and rash guards that look like they've been left out for you, they have been. Suit up and paddle out. Reward yourself later with fresh red snapper ceviche and a spell in a hammock. Also Seen on FATHOM: Postcards about a Nicaraguan honeymoon and hiking volcanoes. What's to Love: A delightfully simple collection of eco lodge huts built directly over a clear blue archipelago accessed only by boat. Good to Know: Spot dolphins while you eat in the outdoor dining room. Jump right off your back porch for snorkeling. Hide with starfish and red frogs on secluded beaches nearby. Contributors: Brit Eaton, Dana Hazels Seith, Deborah Schoeneman, Jeremy Abrams.